Kazaam 18th Anniversary Skate Deck — tom c. corcoran design+illus. 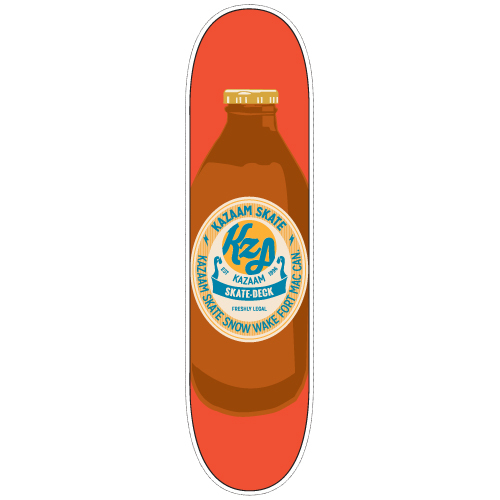 A skateboard deck design to celebrate Fort McMurray skateboard/snowboard/wakeboard shop Kazaam's 18th anniversary as a store, this deck sports a beer-label design to signify the store's newly "legal age". Kazaam's Facebook announcement of decks' arrival in store.